Have you ever wondered what the inner workings of a fraternal organization look like? Maybe you didn’t know there was such a thing. Maybe you’ve never known an Elk or Eagle or Legionnaire. 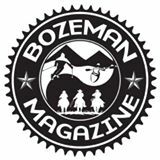 Bozeman is home to three organizations who do a whole lot more for our community than serve drinks or call bingo. They work hard throughout the year to write grants, fundraise and organize parades so that they can help others in the community.